HYB-CMC-01-05 - Hybrid Racing Clutch Master Cylinder - Pann Auto Performance - San Diego largest aftermarket automotive performance parts - What do you drive? A shiver runs up your spine as you shift into 2nd gear and hear an unfamiliar grind. What happened? You accelerated through the shift like a pro, but the car just didn’t respond as it should. On the OEM FG unit there’s an offset chamber the fluid travels through to get your foot motion to transfer to the clutch. This chamber actually causes the fluid to slow, resulting in a clutch that does not disengage or engage fast enough. Which leads to slower shifts and in some cases transmission grinds. It’s not your fault! 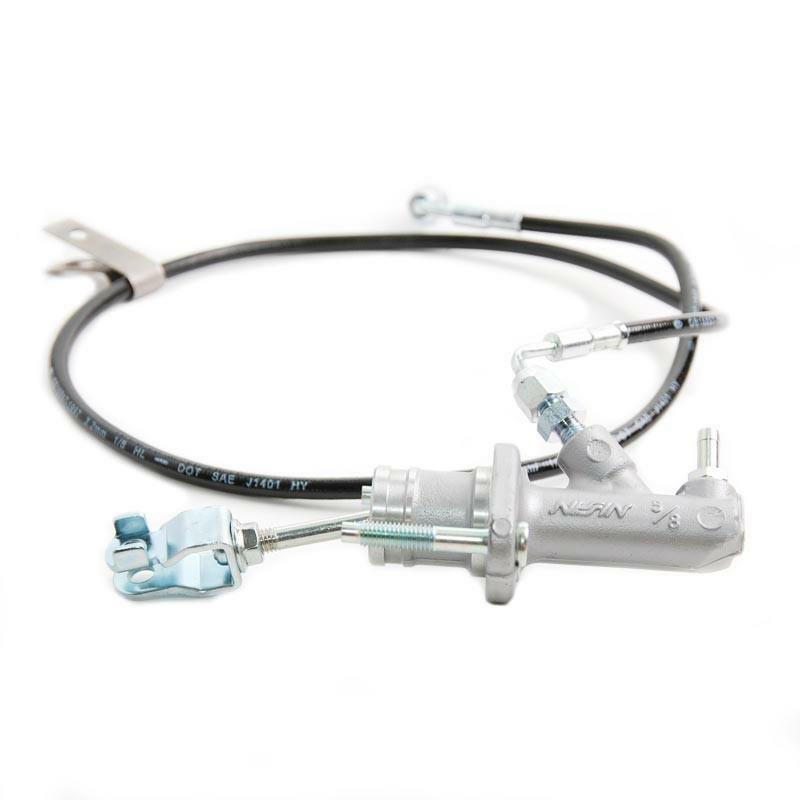 The simple solution is to upgrade to an EM1 civic master cylinder, replacing the OEM FG unit – bundled with a braided stainless line Voila! Problem solved. The new master cylinder also has steel internals while the OEM unit has plastic internals. If you’re seeking smoother shifts that eliminate grinds as you accelerate, likely destroying your transmission, this is the way to go! And as an added benefit you get an amazing install guide, scroll down to see if you can handle the install before you click the ADD TO CART button. For an even better shifting experience, try adding our shifter cable and base bushings (there on the side bar to the left). What a difference these parts make!